With just 1 GRAM OF SUGAR and a whopping 20 GRAMS OF PROTEIN, these impressive protein bars are anything but basic! 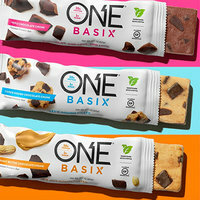 They contain no artificial sweeteners, sugar alcohols, OR gluten, and the flavors are to die for: Cookie Dough Chocolate Chunk, Peanut Butter Chocolate Chunk, and Triple Chocolate Chunk. Ready to stock up? Pick 'em up at GNC or the Vitamin Shoppe, or do what we do: Order from Amazon. Just because summer’s over doesn't mean you can't enjoy guacamole! This lineup comes in 4 varieties: Chunky, Spicy, Southwest, and Pineapple Poblano. (Our favorite is the classic Chunky!) 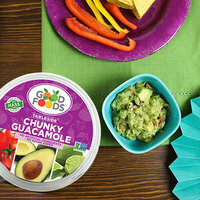 No artificial ingredients, no added sugars, and hand-scooped by the avocado enthusiasts at Good Foods. 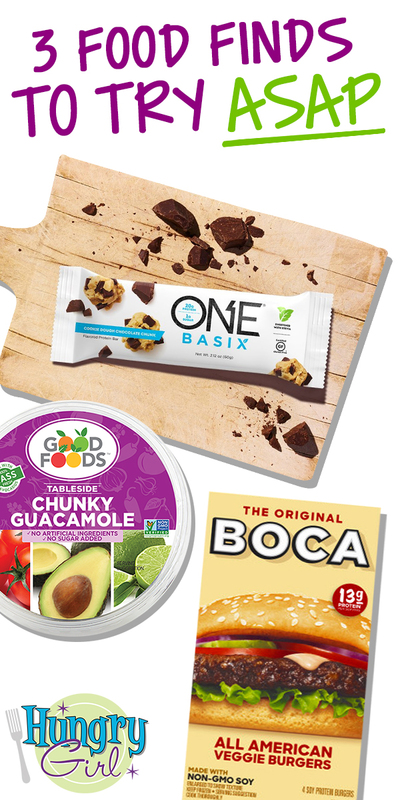 Bonus: There are 80-calorie snack packs! Find the line at Target, Costco, Sam's Club stores and more. 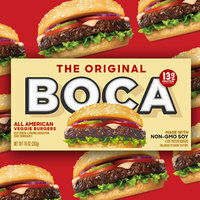 Boca burgers are back and better than ever! Reformulated and with redesigned packaging, we’ve discovered a new favorite meatless patty in the All American variety. It has cheddar cheese mixed in, and we LOVE it! Track some down, and fill your freezer. As Amazon affiliates, we may receive compensation from some of these links. Pass it on! Click “Send to a Friend” now.